One of today’s best commentaries comes from Charlotte teacher and occasional Policy Watch contributor Justin Parmenter, who wrote this morning for Capitol Broadcasting Company that, like it or not, North Carolina’s booming charter school industry is draining traditional schools. It’s an appropriate topic this week, with school choice advocates celebrating National School Choice Week. State lawmakers in the N.C. General Assembly have been keen on charter growth since they lifted the 100-school cap in 2011. By next year, the state is expected to include more than 200 charters, and the influx of charter students is wreaking havoc on traditional public school finances, Parmenter points out. On a systems level, the good that charter schools are able to do is determined 100 percent by the policies that govern them. In North Carolina, charter school policy is a mess, and that mess is leading to some really bad outcomes for our children. The rapidly expanding charter schools siphon money away from traditional public schools and reduce what services those public schools can offer to students who remain, according to a recent Duke University study. As students leave for charters, they take their share of funding with them–but the school district they leave is still responsible for the fixed costs of services such as transportation, building maintenance and administration that those funds had supported. Districts are then forced to cut spending in other areas in order to make up the difference. In Durham, where 18 percent of K-12 students attend charter schools, the fiscal burden on traditional public schools is estimated at $500-700 per student. 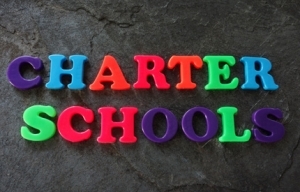 As the number of charters increases, so will that price tag. While charter schools in some states have been used successfully to improve academic performance for low income students, in North Carolina they’ve been used predominantly as a vehicle for affluent white folks to opt out of traditional public schools. Trends of racial and economic segregation that were already worrisome in public schools before the cap was lifted have deepened in our charter schools. Now more than two thirds of our charter schools are either 80 percent or more white or 80 percent or more students of color. Charter schools are not required to provide transportation or free/reduced-price meals, effectively preventing families that need those services from having access to the best schools. Academic achievement in these hyper-segregated schools has played out how you’d expect, with charter schools serving primarily white, wealthy families outperforming traditional public schools and those serving mostly low-income families trailing behind them. I don’t believe that charter schools are inherently bad, and I recognize that there are charter schools doing good work in North Carolina–even a handful that serve low income students and do so well. However, if our state legislators are really serious about providing families with good choices, they must enact policies that move us in the direction of racial and economic integration and don’t damage traditional public schools. Until that happens, let’s stop pretending that school choice is good for everyone.